[Publication] Hill and Hao-Ling’s work on Metal Guided Selective Growth of 2D TMDs will be featured as a back cover for Advanced Materials! Congratulations and here is the sneak peek of the beautiful image. Wafer-scale selective growth of 2D TMDs. [Presentation] It was very honored to present our work on Hydrogen Evolution Reaction (HER) through the use of structurally deformed TMDs at the KAUST Catalysis Center weekly seminar! [Group] Our 2D Lab is growing! Still missing Areej, and Xuan! Equality, diversity, creativity, and novelty converge together here at KAUST. I am proud to have the privilege to work with them. 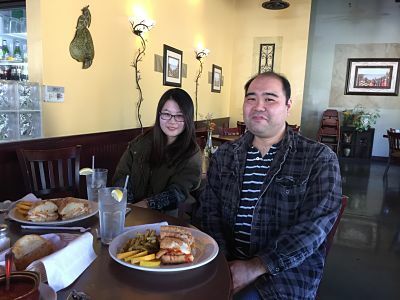 [People] We welcome Ruofan to join our lab. Ruofan graduated Southern University of Science and Technology, ranked #1 in the rising university in the world! He continued his M.S. study with Prof. Sahika Inal and will work on synthesis of 2D active materials for electrochemical storage and actuator applications. Welcome! [Publication] Ming-Hui (Hill) and Hao-Ling’s manuscript entitled “Metal-Guided Selective Growth of 2D Materials: A Demonstration of Bottom-Up CMOS Inverter" has been accepted by Advanced Materials! In this work, they demonstrate the concurrent growth of p-/n- types of monolayer TMDs with location selectivity over the entire wafer, a step closer to a fully integrated atomically thin circuit. Congratulations! [Seminar] it was such a pleasure to invite Yi from the Molecular Foundry at Lawrence Berkeley National Lab to address an invited seminar at MSE. 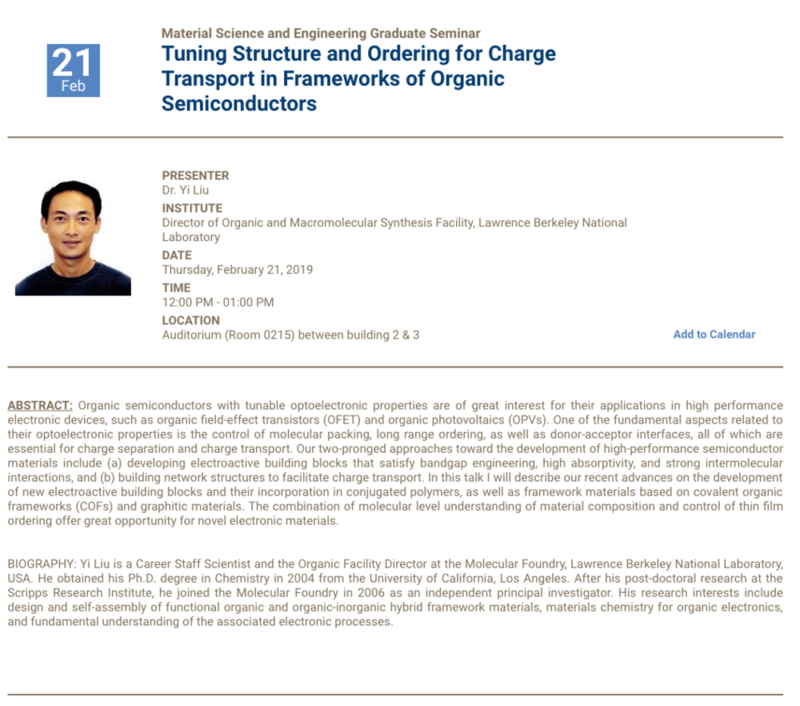 His talk entitled “Tuning Structure and Ordering for Charge Transport in Frameworks of Organic Semiconductors” enlightens the path toward the realization of organic semiconductors. Thank you Yi! 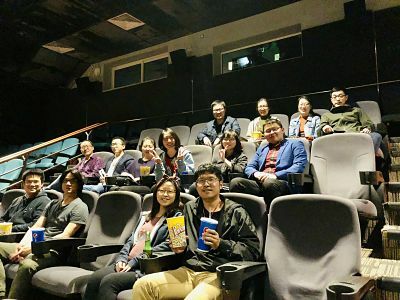 [Group outing] We almost had the whole theater to our group! Ph.D. Students and postdocs enjoyed the “Aqua Man” at the one and only Campus Movie Theater in the Kingdom! [People] We welcome Dr. Liang Cai join our group as the postdoctoral researcher. Dr. Cai was a chemist by training and later moved to University of Wisconsin, Madison for his exchange Ph.D. program under the guidance of Prof. Song Jin. He will cement the conceptual design of new electrochemical catalysts for energy harvesting, storage and waste-to-commodity transformation. Welcome! [Invited Seminar] We are honored to have Prof. Jeehwan Kim from MIT to address an invited talk at KAUST MSE Seminar Series. His talk entitled “Material Challenges and Opportunities in Next Generation Electronics: From Non-Silicon Electronics to Artificial Neural Net” covers the synthesis, processing, and integration of wafer scale 2D materials for next generation of IoT and Artificial Neural Net.We also formally initiate a KAUST-MIT collaboration on wafer scale synthesis of next generation non-silicon atomically thin circuits. Cheers! Prof. Jeehwan Kim and the CVD sub-group at KAUST. [People] We welcome Oliver Lin from UCLA MSE (Prof. Yang Yang’s group) as a visiting Ph.D. student at 2D lab, KAUST. Oliver will bring rich experience and extensive solar cell device fabrication skills to combine with the fundamental study of 2D TMDs as an enabling platform to study charge carrier transport across the atomic interfaces. Welcome!! [People] We welcome Yi Wan join our group as the Ph.D. student. Yi gets her master degree under the guidance of Prof. Lance Li at KAUST. Her project on strain modulated WSe2 growth has been at the forefront of 2D materials community. We welcome her to join the 2D lab and are excited to work together to push the limit of new materials for next generation non-silicon electronics. [Collaboration] We are pleased to establish collaboration with Dr. Steve Jonas (UCLA David Geffin Medical School) and Prof. Paul Weiss (UCLA Chem & Chief Editor at ACS Nano) to explore the bio-versatility of 2D atomically materials through nanostructured interfaces. Cheers! A distilled treasure from Paul! [Highlight] Dr. Ming-Hui (Hill) Chiu is featured on the front page of KAUST as a recognition of his research excellence in the field of 2D materials. Hill earned his Ph.D. from MSE Program, PSE Division at KAUST this past May under the guidance of Prof. Lance Li. He then started as a postdoc in our group as a lead for our CVD team. Congratulations Hill! More good news to come. 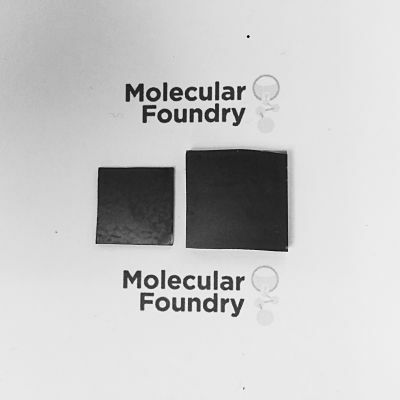 [Funding] Our User Proposal entitled “Understanding the ion transport in multi-scale architectured MoS2 foam," to the Molecular Foundry, Lawrence Berkeley National Lab (LBNL), has been approved. This proposal will forge ahead the bridge between the LBNL and KAUST, allowing Ph.D. students from 2D Lab to access unique and usually one-of-a-kind instrumentation, such as Advanced Light Source. We hope the humble beginning will lightening the path toward higher education and research excellence for students at the Kingdom. Cheers! [Collaboration] A great visit to SABIC Innovation Center and had an absolutely pleasure to meet with Dr. Hicham Idriss. The research innovation that aims to explore scalable, feasible and renewable energy sources not only inspires research direction at KAUST but also fuels the education of cultivating next generations of Saudi Scientist. We hope to be part of it and contribute our design of 2D TMDs with hetero-junctions. Cheers! 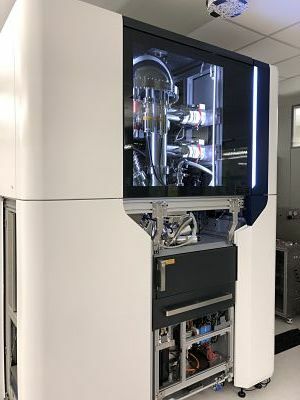 [KCC Center] We are beyond excited to learn about the New Micro-XPS readily installed at KAUST Catalysis Center. Many thanks to Director Gascon who spearheaded the effort to get the proposal approved by the senior leadership. In X-ray Photoelectron Spectroscopy, solid state specimen is bombarded with soft X-rays in ultra vacuum condition, to eject electrons from the outermost atomic layers of the surface, allowing us to identify the chemical states of each element, to quantify the atomic concentrations (with lower limit of approximately 0.1 at%) and to determine chemical bonding between elements present in the layers. [Center Affiliation] Vincent has formally joined KAUST Catalysis Center and will contribute the research at understanding the growth, and catalytic mechanisms of 2D TMD based electrochemical catalysts for HER, ORR, and NH3 reduction. Cheers! [Hire] Dr. Liang Cai from University of Science and Technology China & University of Wisconsin, Madison (Under the guidance of Prof. Song Jin) has accepted the offer to join 2D lab at KAUST. Dr. Cai will bring new perspectives of synthesizing new 2D material-based electrochemical catalysts for CO2 and NH3 reduction. Welcome! 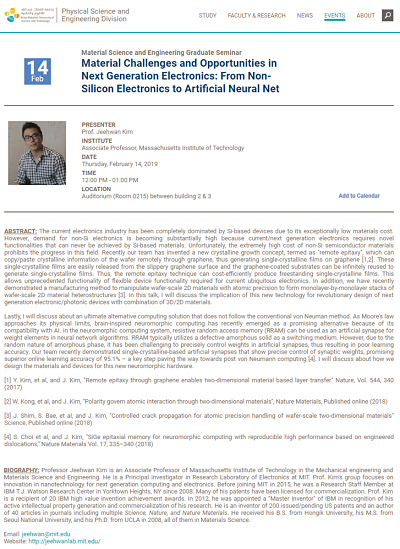 [Seminar] We are honored to have Dr. J Nathan Holman, staff scientist from Molecular Foundry Division, Lawrence Berkeley National Lab, to address an invited talk at MSE Seminar on “Engineering Dimensionality in Excitonic Low-Dimensional Silver MOCHAs (Metal-organic Chalcogenolate Assemblies)”. More collaboration with Dr. Holman and 2D lab built upon the recently awarded User Proposal will be out soon. Stay tuned !! [People] We have come a long way from California to Saudi Arabia with a hope to transform the world energy infrastructure away from the reliance of fossil fuels. I will not be able to realize this ambitious vision without the help from my group members. It is still hard to imagine our group has grown so fast within 2 months after arrival at KAUST. [Seminar] Prof. Song Jin from Department of Chemistry, University of Wiscosin, Madison as well as the senior editor at ACS Energy Letters visited KAUST and addressed an invited talk about his seminal work on the design, synthesis, assembly, and applications of nanomaterials for energy harvesting and storage. It was an honor to have him on campus and discuss the prospect and future of 2D layered materials. Vincent and Prof. Song Jin from University of Wiscosin, Madison. Areej with her large area, single crystalline MoS2 film through CVD growth. 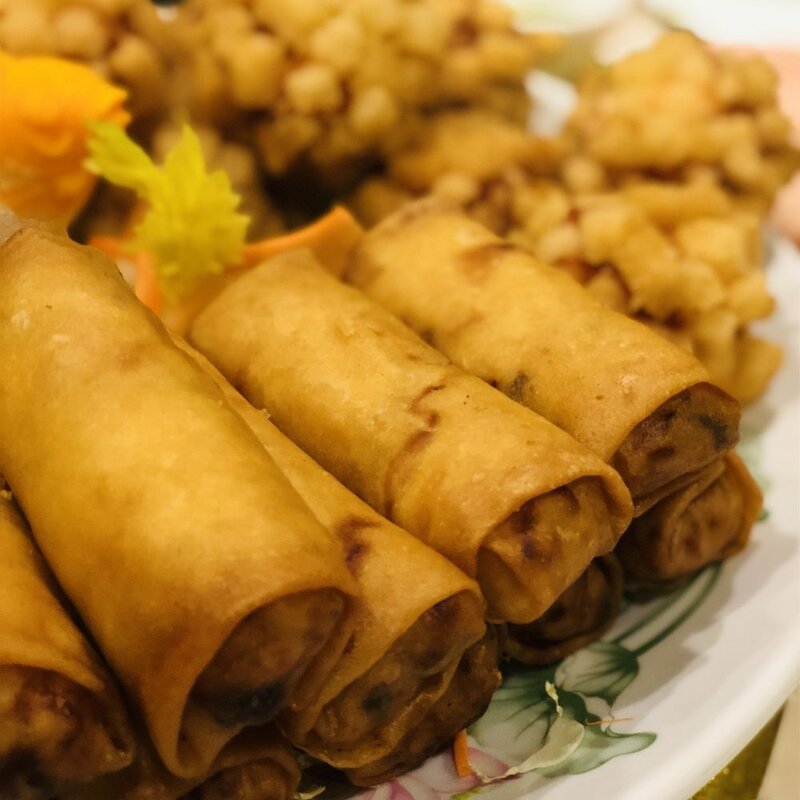 [Lab] Today we celebrate the National Day of Taiwan via a big feast at the hidden gem in Jeddah. It was absolutely a pleasure to hang out with fellow Taiwanese students and researchers who pursue their dream here in the Kingdom. Of course, my awesome group members will not miss the feast. Until next time! Happy Birthday, Taiwan! [Lab] Things are getting busier than ever in our 2D research lab as our research scientist, Dr. Yuanlong Shao from Cambridge, and Dr. Yichen Cai from Nanjing Tech, have just arrived. They will lead the research direction in the chemical synthesis, assembly, and characterization of bulk 3D composites in energy storage and harvesting. [Funding] Even not within the UC system, our team continuously works with leading scientists in the field of 2D materials for energy applications. Here is the exciting news regarding our recent collaboration with Dr. Stanley S. Chou from Sandia National Lab, and University of New Mexico to be funded by the Advanced Manufacturing Office (AMO) from Department of Energy (DoE). The proposal, entitled “Synthesis, Modeling and Kinetics of Rationally Designed Defects and Substitutions in 2D Materials” with Control Number: L059-1579. Congratulations! [Hiring] We welcome the veteran from 2D lab, Dr. Hill (Ming-Hui) Chiu to join our lab! Hill has been the foundation of 2D lab since day 1 and will continuously to lead the efforts in synthesis, characterization, and device applications of novel 2D mono- and bi-layered nanomaterials! Welcome! [Welcome, President Chan] It was a pleasure to finally meet President Chan in person.Before becoming the third president of KAUST, he was with NSF and was the dean of school of engineering at UCLA! With the leadership of President Chan, we are all confident that KAUST will continue to strive for excellence with clear vision and ambitious mission. [New blood] Dr. Hao-Ling Tang (aka Hao-Hao) joins VCT 2D lab as a postdoctoral researcher. Her rich experiences in fabrication and design of advanced electronics built upon novel 2D materials will help shorten the gap between prototype and industrial production. Welcome to KAUST! [New blood] We welcome Areej to join VCT 2D lab at KAUST! 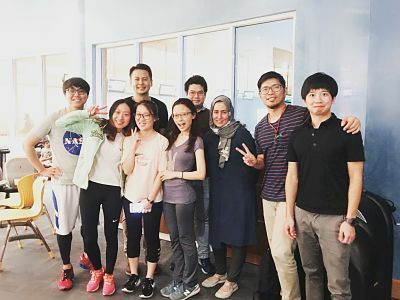 Areej will bring along the rich experience in the growth, mechanistic study, and advanced characterization in large area, single crystalline 2D materials. Cheers! 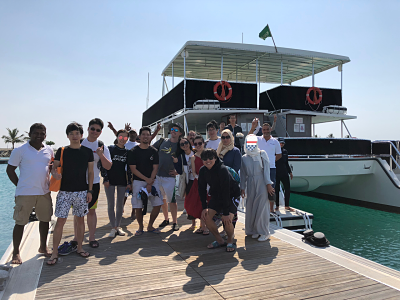 [Group outing] This is how we roll at KAUST. Had a blast with my group member at Bowling on campus. 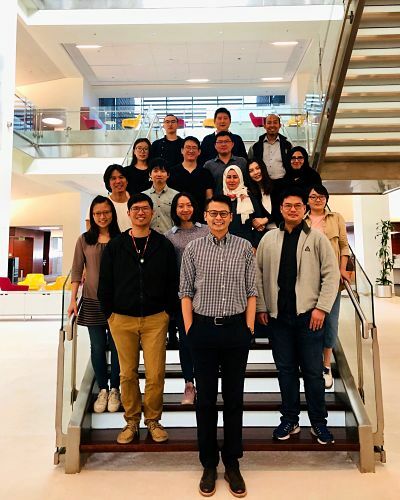 Truly living in a dream to work with such a talented group of young researchers to transform the energy infrastructure away from the reliance of fossil fuel through our innovation, and ambition in 2D material research. [Great and fresh start] Many have doubts about the environment, research capability, and support of this young campus located right next to Red Sea. I can not wait to tell you all how fantastic KAUST is! Falling in love with KAUST the second I stepped into the campus. Stay tuned for more of our work to come!!! Award winning architecture at KAUST. [Presentation] It was absolutely a pleasure and honor to address an invited talk at Annual User Meeting at Molecular Foundry, LBNL. 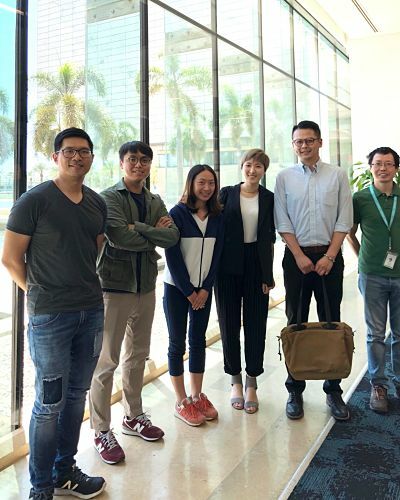 Joining the world class scientists to discuss the prospect, progress and vision for 2D materials research while meeting Prof. Yang Yang, Prof. Jinsong Huang, and Dr. Tze-Bin Song (4 generations at YY lab). Cheers! [Farewell] Vincent will take an Associate Professor position with tenure and the VCT Lab will move to King Abdullah University for Science and Technology (KAUST) on 1 August. While we will surely miss some of the awesome colleagues and wonderful friends back in California, we look forward to contributing to the clear vision and ambitious mission of KAUST that focuses on addressing pressing and emerging needs in energy research. Photo taken on the way leaving Merced by K.C. 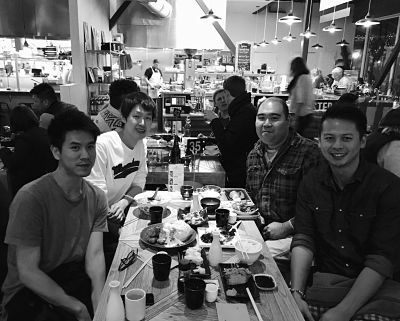 [Reunion] It was great seeing you all today at Berkeley before embarking my new journey. I am really blessed to have you all as postdoc, Ph.D. and undergraduate researcher during the construction of nascent material lab at the newest UC campus. Cheers! [Research] Look at these beautiful PVSK crystals synthesized by Oliver at UCLA. We are wrapping up few manuscripts to report the exciting discoveries of PVSK based detectors! We are blessed to have such a great team of world-class researchers from UCLA, UNM, LBNL, and Sandia National Lab. Cheers! 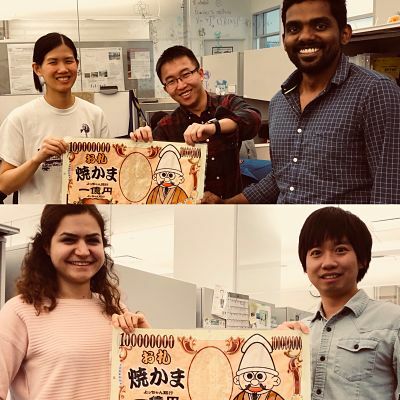 [Nano Art] Xuan, Christine, and Stanley have created some Nano-Art, terms "The Nano-Scream" which pays tribute to the master piece "The Scream" by Norwegian Expressionist artist Edvard Munch. Cheers! [Grant review] Vincent visited UCLA for the annual review of our joint DOE-LDRD grant with UCLA, and Sandia National Lab. It was great to meet lab alumni Oliver, Dr. Stanley Chou from Sandia National Lab, and Prof. Steve Jonas from UCLA Medical School. Until next time!! [Conference] Vincent will address an invited talk on our recent discovery, Dewetting induced self-organization of 3D monolith for efficient HER, at the Molecular FoundryUser Meeting, Lawrence Berkeley National Lab. Cheers! [People] Dr. Yuanlong Shao from Cambridge University will join VCT 2D lab as a research scientist in August. His research pioneers in the synthesis, fabrication and integration of 2D nanomaterial based flexible energy storage. Dr. Shao was part of the Prof. Richard Kaner's research group and jointly spearheaded the laser scribing induced reduction of graphene oxide for large area graphene based supercapacitor. We are excited to welcome another familiar face from UCLA. Welcome! [People] Dr. Segi Byun from Korean Advanced Institute of Science and Technology (KAIST) will join VCT 2D lab as a postdoctoral researcher in August. His research spans a gamut of 2D materials and their integration into composite materials. Specifically, he will bring new perspectives of solution processable 2D materials through interfacial assembly to our lab. 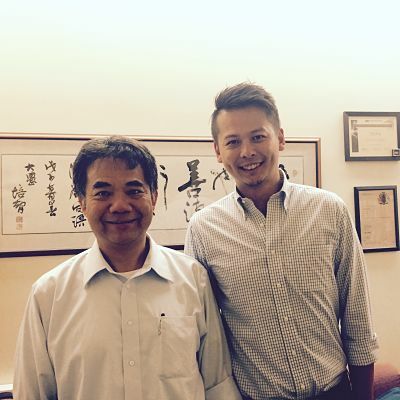 During Ph.D. study, he also joined Prof. Jiaxing Huang's lab as a visiting scholar at Northwestern University. Welcome! [People] Dr. Yichen Cai from Nanjing Tech University will join VCT 2D lab as a postdoctoral researcher in August. Her research focuses on synthesis and integration of novel 2D materials for stretchable electronics and sensors. 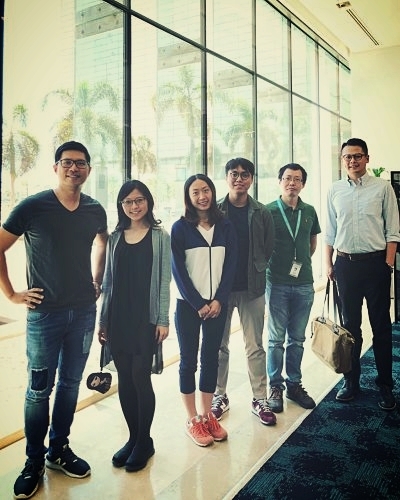 Yichen did her visiting scholarship at Prof. Lance Li's 2D research group at KAUST. Welcome! [Grant] Our DoE-Molecular Foundry proposal is accepted for funding! We will work closely with Dr. Nate Holman to develop next generation 2D materials with electrically addressable interfaces, and chemically addressable surfaces. [News] Had an absolute pleasure to discuss science and life at KAUST with these talented students! Look forwarding to visiting you all again and all the best to your next stops! [News] We will begin our collaborative grants with King Abdullah University of Science and Technology (KAUST). Here is the pic of meeting the head of Materials Science and Engineering, Prof. Xixiang Zhang. Many exciting works to come!!! 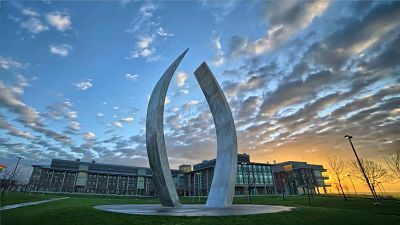 [Summer vacation] Finished my last lecture and final examination of ENGR045 at UC Merced. 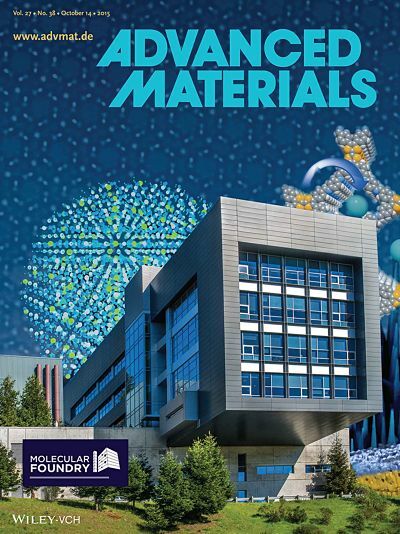 Time to embrace the summer vacation and pick up writings to publish our recent exciting discoveries in printable 3D metal dichalcogenides for electrochemical catalysis and energy storage. Feeling determined like King James! [Fellowship] Bryan receives undergraduate fellowship to conduct summer research at UCSD! Congratulation, a job well done! [Group] I am blessed to have a group of students that support me from day 1 at UC Merced. It is sad to say goodbye to some of you but I am sure our path will definitely cross again in the near future. All the best to your future endeavors in the field of science and engineering. Cheers! [News] Kiana will join Prof. Jessica Yue Wang's group to pursue her Ph.D. in the field of printable bio-scaffolds. All the best and we will miss you a lot! [Presentation] Vincent will address a talk at Lawrence Livermore National Lab about "deformed 2D materials for energy innovation" as part of the collaboration effort between UC and National Labs. More details will be provided later. Cheers! 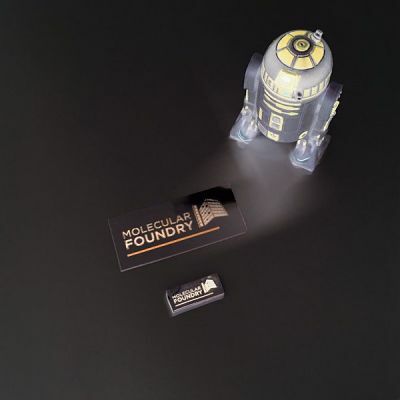 [Conference] Vincent is invited to address a talk at the Annual User Meeting of Molecular Foundry. He will talk about recent discoveries of structurally deformed 2D materials for energy harvesting and storage! Cheers. 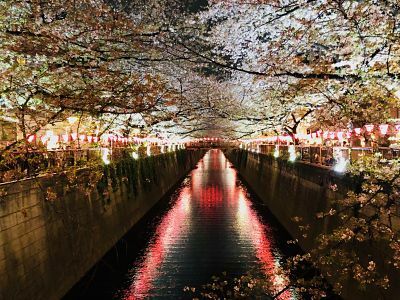 [Lab outing] A breath-taking view of cherry blossom from the Naka Meguro river, Japan. [Personnel] Dr. Ali Han from University of Science and Technology (USTC) China and King Abdullah University of Science and Technology (KAUST) will join VCT Lab as a Postdoc in July. Her expertise on CVD growth of Novel 2D materials will help us further expand the horizon of emerging 3D heterostructures for catalyst and energy storage. Welcome! 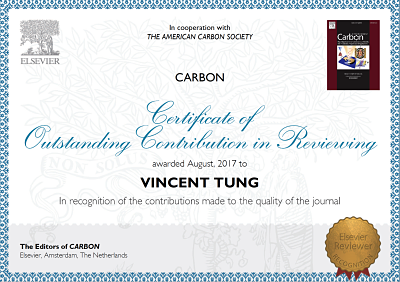 [News] The journal "Carbon" always holds a special place in my mind as our first manuscript was accepted and highlighted here. Here is the recognition of our contribution to the reviewer's work! Cheers! [Lab outing] Kiana performed at the Iranian gathering to celebrate the Iranian New Year! Photo credit by Wu! [Great News] Today, 3/14/2018/, marks the greatest day in VCT Lab that we formally request to withdraw from NASA MACEs Center. 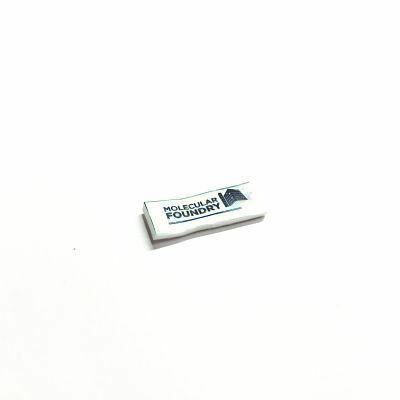 While the journey is bumpy and always filled with dramas, we appreciate the support of NASA on our printable PVSK solar cells. We wish all the best to the leadership of MACEs Center! R.I.P. 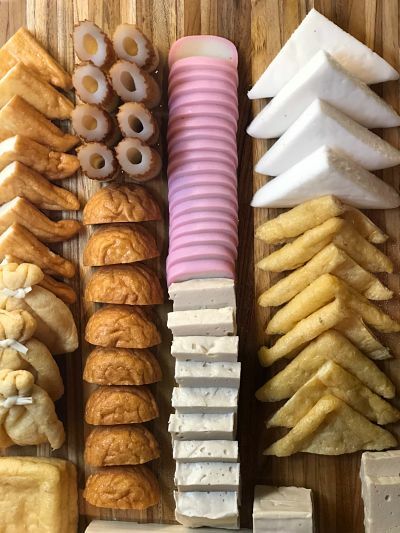 [Outing] VCT Lab experimenting on ordered assembly of hot pot foods during the Chinese New Year! Happy New Year everyone! [Collaboration] Our new collaboration with Prof. Yang Yang at UCLA, and Dr. Stanley Chou at the Sandia National Lab will enable us to explore the unparalleled properties of PVSK solar cells and crystals! Stay Tuned! [News] New school year begins so as the new collaboration. 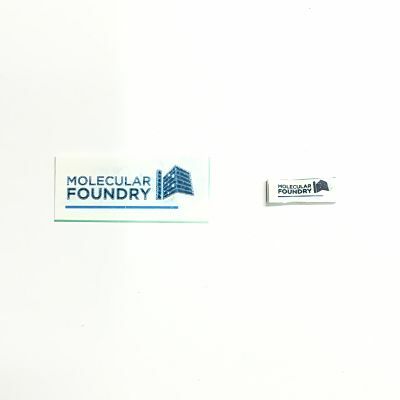 We will work with Dr. J Nathan Holman, the staff scientist at the Inorganic Division, the Molecular Foundry to explore the unconventional coupling between inorganic-organic hybrid 2D materials! [Admission] Our very own undergraduate Beatriz will become a Ph.D. student at VCT Lab in June. Congratulations and glad you like to stick with us for the next phase of your research. Cheers! [Note] Here is to the beginning of 2018 and flash back to 2017. Many downfalls have laid down the solid foundation for today's success. You are strong because you are imperfect. You are wise because you have doubts. Quotes from Winston Churchill! Self-assembled nanostructures of MoS2 inspired from the Star War Movie "Last Jedi" Stay tuned! 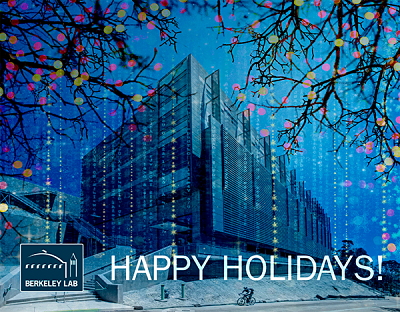 Merry Christmas from VCT Lab! [Presentation] Vincent addresses two talks at King Abdullah University of Science and Technology (KAUST), Saudi Arabia, for the use of atomically thin 2D materials for electrocatalyst and battery applications. Beacon of hope and innovation at KAUST. [Trip] En route for new journey! Stay tuned for the major change of VCT Lab in 2018. Coast line of Long Island, NY. [Fellowship] Xuan is selected to represent Biological Engineering and Small-scale Technology (BEST) graduate group to compete the highly competitive Graduate Student Mentor Fellowship! Congratulations! [News] More news coverages of our deformed MoS2 for Hydrogen Evolution Reactions (HER) from Sciencedaily, and Materials Today! [News] Our recent publication entitled "Structurally Deformed MoS2 for Electrochemically Stable, Thermally Resistant and Highly Efficient Hydrogen Evolution Reaction" is featured on Sanida National Lab News Highlights and Nature Asia News! Learn more about how we manipulate physical transformation to drastically enhance the catalytic property of an ordinary MoS2 for HER!! [Fellowship] Graduate student Som Sarang, co-advised with Prof. Ghosh at Phyics, is awarded with School of Natural Science Distinguished Scholars Fellowship to continue his study on both PVSK Photovoltaics and Low Dimensional Transition Metal Dichalcogenides (LDTMDs). Congrats!! [Reunion] It is always a pleasure to catch up with old friends, especially from Northwestern University. Prof. Tae Hee Han stopped by the Molecular Foundry today! 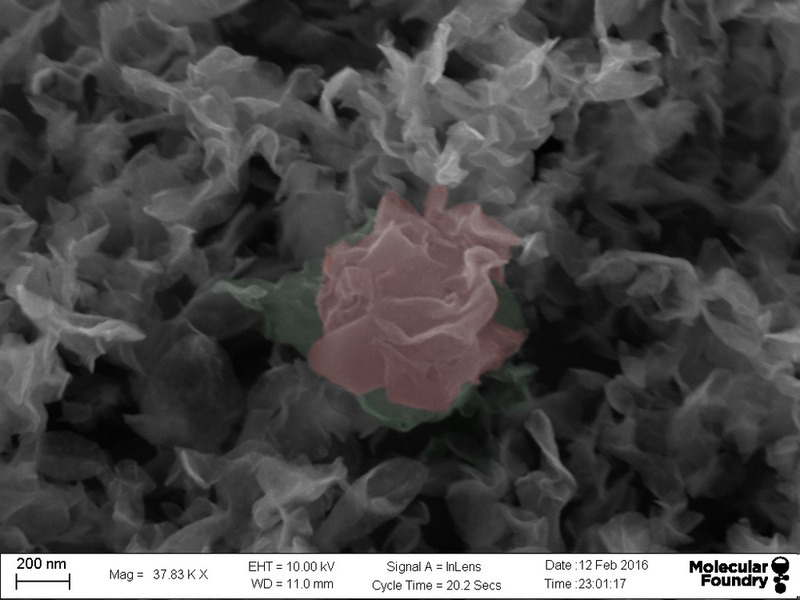 [Funding] Our user proposal entitled "Synthesis of bulk nanostructured MoS2 foam for electrochemically stable and high power anode for pseudocapacitive charge storage" has been approved by Molecular Foundry, Research Hub supported by Department of Energy. Many thanks to graduate student, Xuan Wei, who spent countless hours to work on this project from ground ZERO!! Congrats!! [Publication] Glad to see our contribution to the "Cover Hallway" of Organic & Macromolecular Division at the Molecular Foundry, LBNL. Congrats to Yen-Chang, Taka and many who have worked together to make this happen. [Publication] Our collaboration with Prof. Goshi, Prof. Scheinber, and Prof. Jin Zhang (UCSC) entitled "Stabilization of Cubic Crystalline Phase in Organo-Metal Halide Perovskite Quantum Dots via Surface Energy Manipulation" has been accepted for publication in The Journal of Physical Chemistry Letters. Congratulations! [Publication] A sneak peak to our recently published paper entitled "Structurally Deformed MoS2 for Electrochemically Stable, Thermally Resistant and Highly Efficient Hydrogen Evolution Reaction" will be highlighted in Advanced Materials and is also featured in the front page of UC Merced. Cheers! [Grant] The grant kick-off meeting at Sandia National Lab. 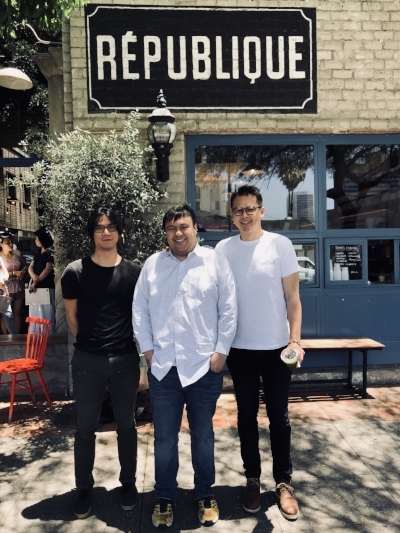 We will team up with staff scientists, Dr. Stanley Chou and Dr. Bryan Kaehr at Sandia National Lab, Prof. Hecht at University of New Mexico and Prof. Yang Yang at UCLA to explore the large scale employment of semiconducting crystals for neutron detection. Cheers! [Seminar] It was absolutely a pleasure to have former Kaner Group Member, Prof. Julio D'Arcy to address a talk on utilizing conducting polymers for energy storage application at our graduate seminar series. We of course took this opportunity to hold a small reunion. Cheers! [News] Today marks the beginning of an end. Dr. Ishihara Hidetaka will leave our group for Panasonic/Tesla for battery production. Dr. Hidetaka has been the corner stone for VCT lab in the very beginning and has made numerous discoveries that transform the 2D materials into a whole new material paradigm. I am forever grateful to your invaluable dedication, devotion and contribution and am honored to call you my friend. Farewell and hope all the best to your endeavor in electric car. [News] Honor to call you my best friend. Dr. (Soon to be Prof.) Steven Jonas, resident at UCLA Mattel Children Hospital and research fellow at Prof. Paul Weiss' lab at UCLA Chem receives an early career award from Hundai Wheel on Hope Foundation to recognize his contribution on fight pediatric cancer! [Publication] Our collaborative work entitled "Structurally Deformed MoS2 for Electrochemically Stable, Thermally Resistant and Highly Efficient Hydrogen Evolution Reaction" is accepted for publication in Advanced Materials [IF: 19.79] and will be featured as a cover article. Million thanks to Yen-Chang, Ang-Yu (MIT), Xiu-Lin, Lance (KAUST), Changming, Ian, Oliver (LBNL), Marina, Andre (Yale), Ping and Stan (Sandia). [News] Xuan successfully sailed through her Ph.D. qualification! 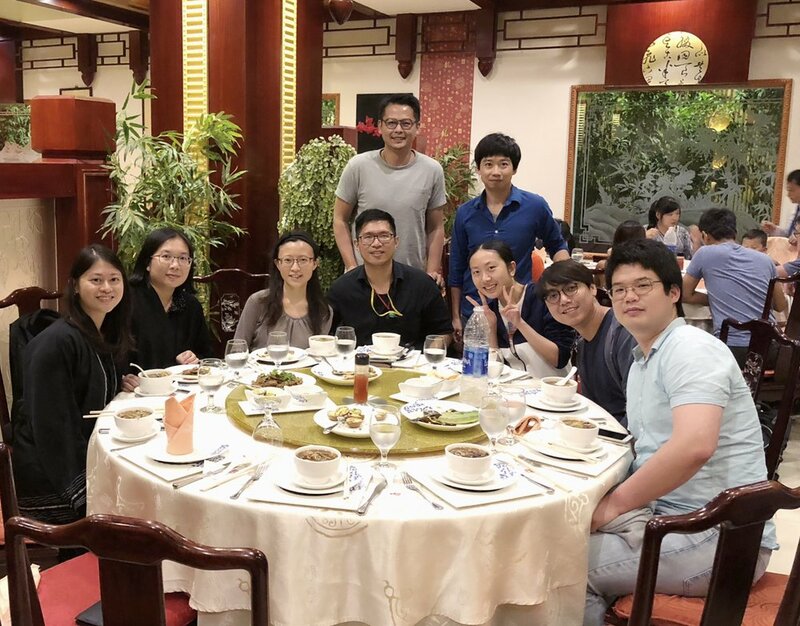 Many thanks to her committee, including Prof. Min Hwan Lee, Prof. Jessica Wang, Prof. Eric Menke and Dr. Stanley Chou from Sanida National Lab. She will now strive for multiple publications in 2017. Congratulations! [News] Welcome Kiana and Jui-Han to join our group as Ph.D. students! They join on the hottest day of the summer in Merced (115˚F)! [Funding] Our collaborative FY18 LDRD Proposal with Sandia National Lab (PI: Stanley Chou) entitled "Unpowered, Stackable, Large Area Semiconductor Neutron Detector," Proposal Number 18-0707, has been recommended for funding (total amount of $ 800,000 for 2 years) by the Defense Systems and Assessments / University of New Mexico Investment Area Team. Congratulations!! [News] Yen-Chang has successfully sailed through the Ph.D. defense!! Committee members, including Prof. Kara McCloskey, Prof. Min Hwan Lee and Director Yi Liu from Organic and Macromolecular Division at Molecular Foundry, unanimously impress by Yen-Chang's research and the far-reaching implications of his study on physical transformation modulated electrochemical kinetics for energy storage applications. He is the first ever Ph.D. from VCT Lab!! Congratulations!!! [Funding] Our proposal in collaboration with School of Natural Science to Army research lab (70537-RT-REP: Hands-on Quantum Materials Lab)has been accepted for funding (total amount of $ 500,000)! This will bring the nascent campus the versatile AFM/CFM/MFM instrument. Congratulations! [News] Christine Wu has been accepted to Chemical Engineering at UC Berkeley. Congratulations! She will soon join the team at Molecular Foundry at LBNL. [News] Bradley Frank has been accepted as a Ph.D. student at the Polymer Science program from FU Berlin, Humboldt Berlin, TU Berlin, and UPotsdam. Meanwhile, Joseph will start working at Intel in July!! Congratulations! [Funding] Our collaborative proposal with Prof. Ghosh at Physics and Prof. Jin Zhang at UCSC on constructing "All Inclusive Tandem Perovskite Photovoltaics" has been selected for funding by NASA MACEs Center! Congratulations!! [Publication] Our collaborative work with Prof. Min Hwan Lee has been accepted for publication at Fuel Cells and will be featured as a Cover in June issue! Congratulations to Taka! [News] Katie from Merced College will join us as a NASA MACEs Summer Fellow for synthesis of nanomaterials for energy storage applications! Welcome! [News] The very first Ph.D. from VCT Lab! Congratulations to Yen-Chang for your dedicated effort and countless hours on exploring the uncharted forefront of structurally deformed 2D van der Waals' solids!! Yen-Chang has been a cornerstone for the nascent VCT lab ever since we finalized the movement. It is worth mentioning that Yen-Chang has landed on all major graduate fellowships, including Chancellor's, Dean's and Dean's dissertation fellowships as well as NASA and NSF!! He will soon start as a scientist at Lam Research. Very proud of him!!!! [Fellowship] Wu's work on "Transparent MoS2 for Efficient Hole Transport Layer for Perovskite Photovoltaics" will be supported by NASA MACEs Center over the summer! Well done! [Fellowship] Som has been selected for the Dan David Solar Cell Fellowship and will participate in Solar Cells Workshop at NREL in July. Cheers! 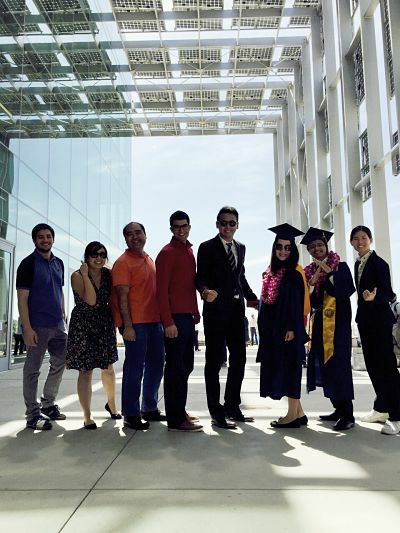 [News] Pisrut "Todd" will start his Ph.D. at Bio-medical Engineering, at UC Irvine! Congratulations!!! [News] Our collaborative research with Prof. Ghosh on regulating the hydrodynamics of droplets that contains precursors for green and printable perovskites photovoltaics has been featured on the front page of UC Merced. When chemistry meets physics! 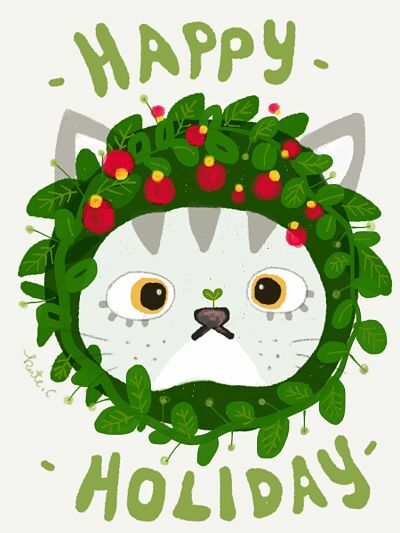 [Holiday] Wishing that your Thanksgiving is full of love, warmth, turkey, pies, and extra special moments!! [Fellowship] Yen-Chang has been rewarded the prestigious Dissertation Fellowship to recognize his achievements in the forefront of nanoscience and energy harvesting. Congratulations! [Fellowship] Som Sarang has been selected for Summer 2017 Southern California Edison Fellowship. Congratulations! [Publication] Our collaboration with Prof. Ghosh and Prof. Gopinathan on "Low temperature excitonic spectroscopy and dynamics as a probe of quality in hybrid perovskite thin films" will be highlighted as a back cover in Chemical Physics Physical Chemistry. Here is the sneak peek of the image. [Publication] Kat and Som's paper entitled "Hybrid perovskite thin films as highly efficient luminescent solar concentrators" has been accepted for publication in Advanced Optical Materials! Congrats!! [Fellowship] Yen-Chang is awarded the NSF CCBM Scholarship for his work on the synthesis, assembly and integration of crumpled nanomembranes. Congratulations! [Group news] Jose is leaving for his master study at UC Davis. Thank you so much for the contribution on the MoS2 projects. We will definitely ask you to come back on weekends. [Publication] Our paper entitled "Low temperature excitonic spectroscopy and dynamics as a probe of quality in hybrid perovskite thin films" has been accepted for publication in Chemical Physics Physical Chemistry. Congratulations to Som and Taka! 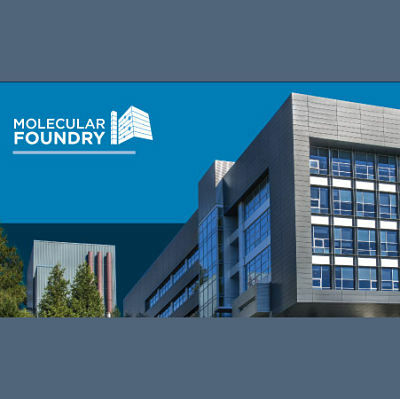 [Conference] 2016 annual user meeting will be held at the Molecular Foundry on Aug. 11-12. We will present our work on the assembly of 3D porous functional materials. Cheers! [Group] We welcome Matthew to join our lab as a NASA MACEs summer intern. Cheers! [Group] We welcome our ACS SEEDS student, Mai Chong Thao, to join our lab for the summer! Cheers. [Funding] Our proposal in collaboration with School of Natural Science to Army research lab has been accepted for funding (total amount of $ 495,000)! 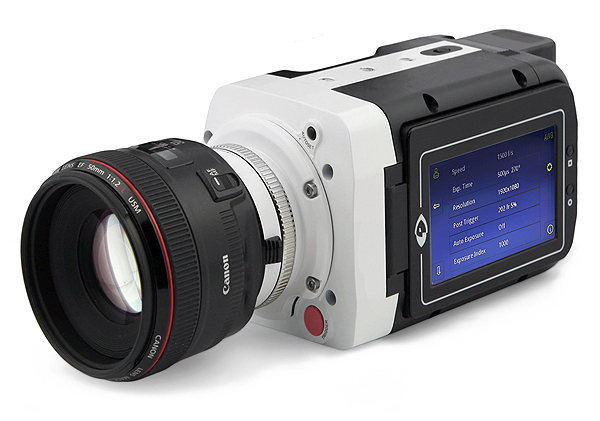 This will bring the nascent campus the high resolution IR instrument and fluorometer. Congratulations! 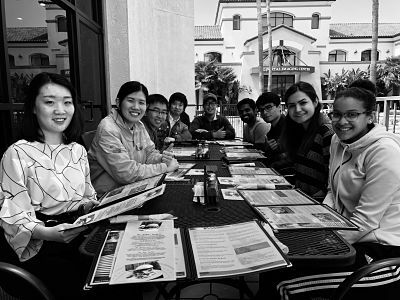 [Student activity] MACEs has held the first field trip to NASA Ames Center this past April as part of the outreach activity. If you are interested in participating, please apply through MACEs website or contact center manager, Mariana. Cheers! Marisol (center, in green outfit) participated in the field trip to NASA. Entrance to explore the future space mission! [Group news] Yen-Chang is awarded a summer internship at Lam Research. Congratulations! [Group news] its always bitter sweet to say goodbye to our group members. Oliver will leave us for his Ph.D. study at MSE, UCLA while Jose will join Bio-engineering at UC Davis. [Presentation] NASA GSR fellows from Sensing Thrust will present their talk on May 16, at room 224, SE 2. Please join us. [Funding] Our research on "“Bio-mimetic Assembly of 3D Graphitic frameworks from Bijels” has been selected for funding by UC Committee of Research. Congratulations! [Group news] Our ACS SEED student Lai has been accepted to UC Berkeley!! Congratulations! [Collaboration] Stay tuned with our collaborative work with Yale! [Funding] Our NSF-CREST Center on Cellular and Biomolecular Machines (among faculties from Natural Science and School of Engineering) has been officially awarded with the total amount of $ 5 millions. We will contribute to the design and synthesis of novel 3D monoliths for bio-sensing. Congratulations! [Fellowship] Yen-Chang is awarded with the BEST Summer Fellowship for his work on rational engineering of localized strains in 2D TMDs. Cheers! [Fellowship] Som is awarded with the Graduate Division Summer Fellowship for his work on exploring intrinsic transport property of perovskite photovoltaics. Congrats! [Fellowships] Som is awarded Graduate Division Summer Fellowship for his study on photo-physic electronic property of perovskites at various interfaces. Congratulations! [Admission] Jose just got another admission from UC Davis MSE. Congratulations! [News] Taka's work in collaboration with Professor Ghosh on electrohydrodynamic deposition of perovskite photovoltaics will be featured as the front cover of Advanced Materials Interfaces! Congratulations! [Outing] Small VCT Lab ski trip to Lake Tahoe was a success! [News] Jose received an admission from University of Washington! Congratulations! [News] Oliver receives admissions from UCLA and University of Arizona. Congratulations! [Presentation] Yen-Chang and Marisol will present their work on Three dimensionality in 2D Soft Materials at research week! In memory of the darkest day of the history of Taiwan. [News] Xuan Wei joins our group as a Ph.D. student and will work on 2D materials for energy storage. Welcome! [Fellowship] Yen-Chang is awarded BEST Travel Grant for attending MRS 2016 in Phoenix, Arizona. Congrats! [Publication] Our collaborative work with Professor Ghosh on “Nature inspiring process toward high throughput production of perovskite photovolatics” will be featured in the issue of emerging young investigators and as a back cover! Congrats! 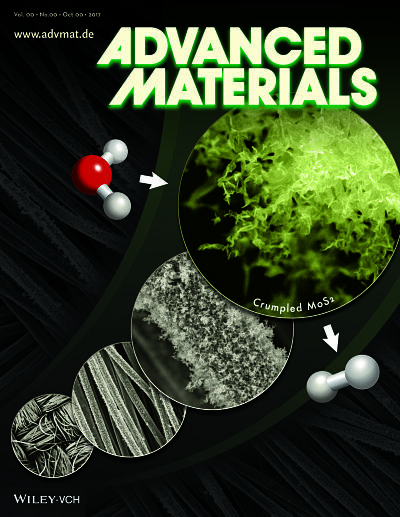 [Publication] Our collaborative work with Professor Ghosh on “Electrohydrodynamically assisted deposition of perovskite photovoltaics” will be featured as the cover article in Advanced Materials Interfaces. Congrats! 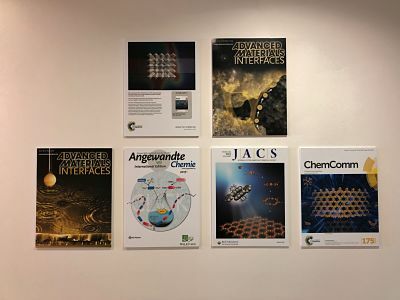 [Publication] Our work on rational assembly of hybrid photoanode is proudly featured on the famous “Cover Wall” at the Molecular Foundry. More to come! Congratulation to Yen-Chang, Oliver and Taka. Cheers! Happy New Year and Congratulations to Marisol for awarding NASA undergraduate fellow! [News] Today, Pisrut, successfully sailed through the Master Defense. Congratulations, a job well done! 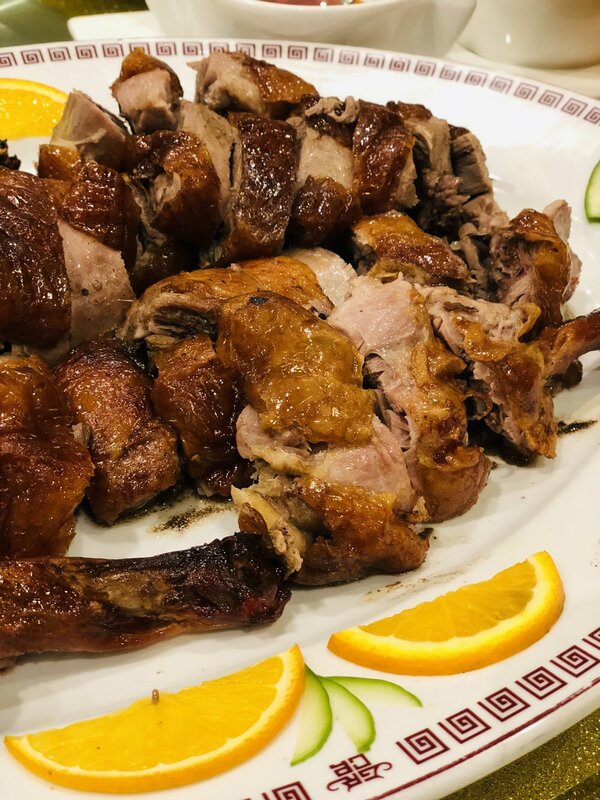 [Reunion] Small year end dinner! NASA Funded MACEs Center Open Day is a huge success!! Thanks to everyone whose unselfish and dedicated works make this happen. Now we are striving for providing quality education in Central Valley. [Outreach] Please check the recent activities with SciBridge! 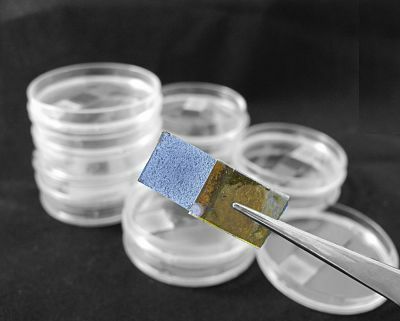 [News] New rules to increase the transparency and reproducibility of Perovskites. [News] Today’s tragedy has shaken all of us. Thoughts and condolence are with the victims. 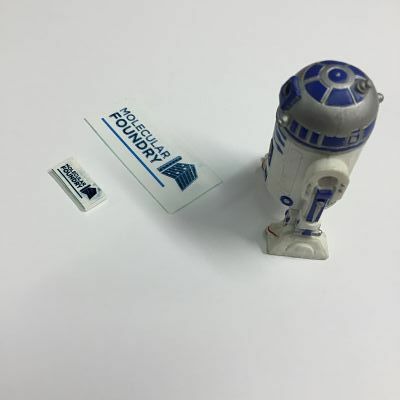 [Collaboration] Shrinky Dinky Fun by R2D2. [Collaboration] Our collaborative project with Professor Michelle Khine will be out soon ! Here is some sneak peeks. [Event] Save the day for MACEs Center Grand Opening on Dec. 4. [member] Joe will leave our group in the end of October. All the best to your future search!! [Fellowships] Congratulations to Bradely and Yen-Chang for their NASA&MACEs fellowships! Both of them will work on perovskite photovoltaics. Cheers! !! Nick De Marco is one of the contributing authors. Cheers!! [Visit] An inspiring visit to SolCal and catch up with both PIs, Prof. Ric Kaner and Prof. Yang Yang. Also glad to know that our alumni, Nick and Andrew are doing well at UCLA. Go Bruins!! 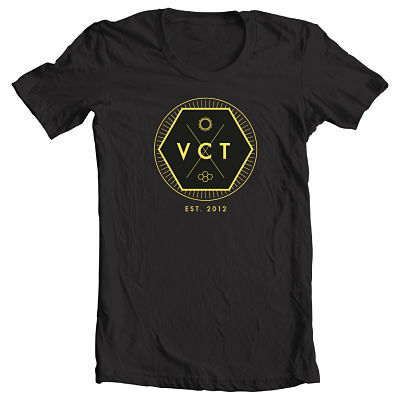 [Gorup] VCT lab t-shirt has finally submitted for production. 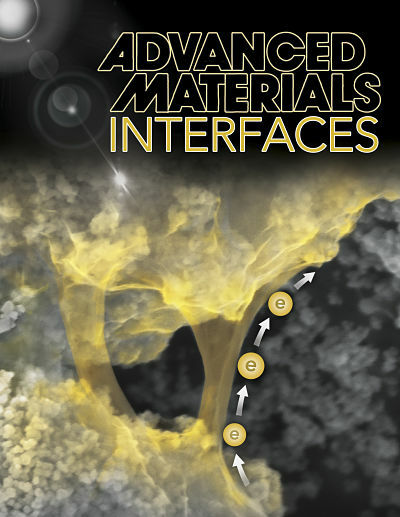 [Publication] Yen-Chang and Taka’s paper has been selected as the inside cover for the coming issue in Advanced Materials Interfaces. Congratulations! [Media] Three-dimensional 2D Materials. Stay tuned! [Media] VCT Lab youtube channel and twitter accounts will be on-line shortly. We will begin to upload exciting progress and discovery by our lab members. Stay-tuned. [Member] Junior student, Bradley Frank will join our group to work on NASA funded Perovskite Photovoltaics. Welcome!! [Meeting] Kick-off Meeting for NASA sponsored Merced nAnanomaterial Center for Energy (MACE) will be held at UC Santa Cruz! [Conference] The User Meeting will be held at the Lawrence Berkeley National Lab. [Publication] Our manuscript entitled “Capillarity Assisted Electrostatic Assembly of Hierarchically Functional 3D Graphene: TiO2 Hybrid Photoanodes” by Yen-Chang, Taka, Wenjun, Nick, Andrew, Johnny and Oliver is accepted for publication at Advanced Materials Interfaces. Congrats!! [News] Lai Thung successfully delivered a good poster regarding CLIP printing of perovskite photovoltaics at America Chemical Society SEED program. Congrats! [News] They simply ask equal dignity in the eye of law. Love just won. 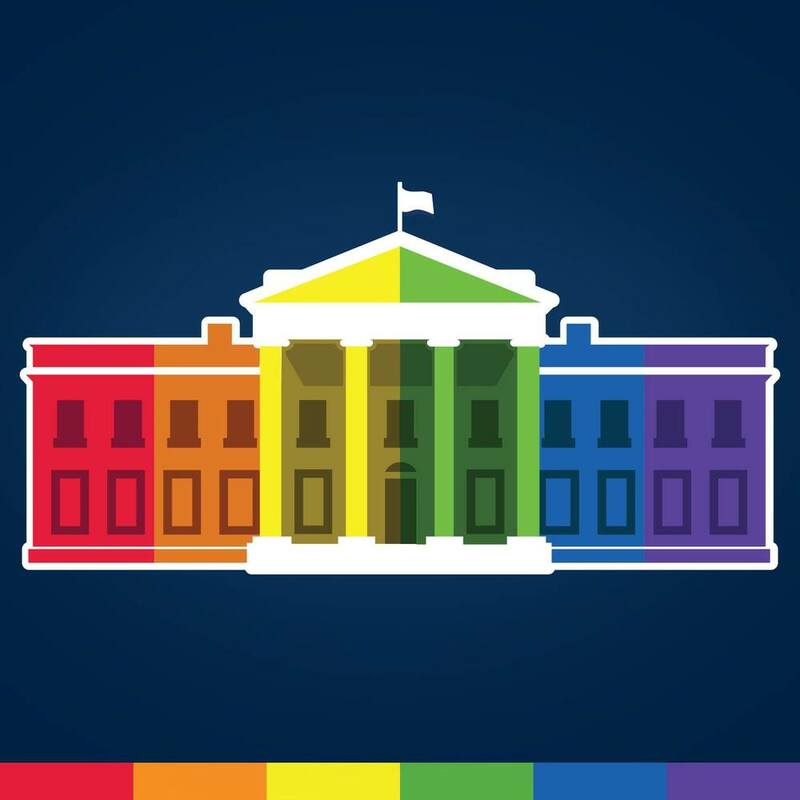 Congratulations to and truly proud of all my LGBT friends. Finally, your persistent steps culminates to the historic moment. [News] CBS interviewed Prof. Lu and Ye regarding the vision of NASA MACE Center. Taka and Lai were featured in the News. Congrats! [Summer Camp] Jose is selected to participate in Nano/Bio-technology Summer Camp at UIUC! Congrats! [Presentation] Yen-Chang is invited to address a talk on “Electrostatic Assembly of 3D Hierarchically Functional Photoanodes” at the Electrochemical Society (ECS). [Publication] Our invited paper on Self-assembly of Flexible All-carbon Photovoltaics is co-featured as a cover on the Journal of Solid State Chemistry. Congrats! [People] Todd Phummirat from UCSD will officially work in VCT group on CLIP synthesis of Perovskites. Welcome! [People] Lai Thung will join our group as a ACS SEED summer intern! Welcome! [Funding] Our proposal entitled” highly efficient perovskite photovoltaics through electrohydrodynamically-assisted self-organization at nanoscale” has been renewed and approved by DOE. Congrats! [Graduation] It is the time of the year to say goodbye to students. All the best to your journey at UCSD. Also, good to see our Alumni back from UCLA. Go VCT Lab. Special thanks to Marisol for taking this awesome photo. [People] Wenjun will start a new chapter of her career in science and engineering. She graduates today as a Master student. Her contribution in laying down the solid foundation of our CLIP Perovskites has led to several groundbreaking discoveries. All the best for your new journey at UCSD. [Equipment] We have added another enabling equipment, adphoS NIR emitter, to enhance the throughput of our CLIP technology for fabricating perovskite photovoltaics. [Equipment] We have collaborated with Professor Sayatani Ghosh’s lab to set up a Phantom Highspeed Camera to monitor the dynamics for incoming droplets generated from EHD process. Yen-Chang just passed his Ph.D. qualification with unanimous votes!!! He will start working at the Molecular Foundry for his summer fellowships. Congratulations! [Fellowship] Yen-Chang is awarded School of Engineering, Dean’s Award Fellowship for the summer. Congrats! [Fellowship] Yen-Chang is awarded travel fellowship for the upcoming Electrochemical Society (ECS) Meeting. Congrats! [Funding] Our proposal teamed up with PI Jennifer Lu, Minhwan Lee, Saiyatani Ghosh, and Tao Ye, and Anand Subramaniam is selected for award of 5 millions from NASA MUREP Institutional Research Opportunity (MIRO), 2015! Congrats!! 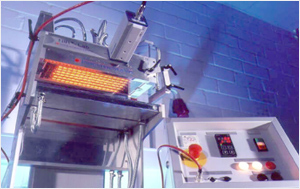 [Equipment] We will establish NIR emitter capability for unconventional photovolatic projects. [Fellowship] Yen-Chang is awarded Bobcat summer fellowship for his study on perovskite photovoltaics! Congrats! [Admission] Wenjun will join Ph.D. program at UC San Diego! Congrats!! 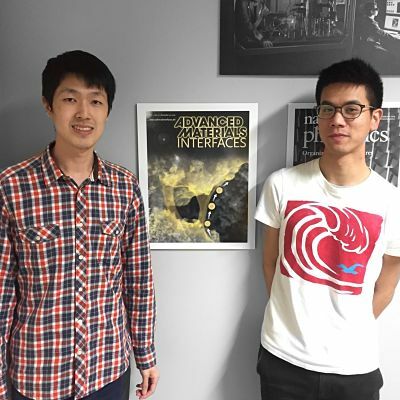 [Collaboration] Oliver will start working with Dr. Yi Liu at the Molecular Foundry! [People] Pisrut Phummirat from UC San Diego will join us as a Master student. Welcome! [People] Som Sarang from Physics will join our lab for characterization and fabrication of Perovskite project. Welcome! 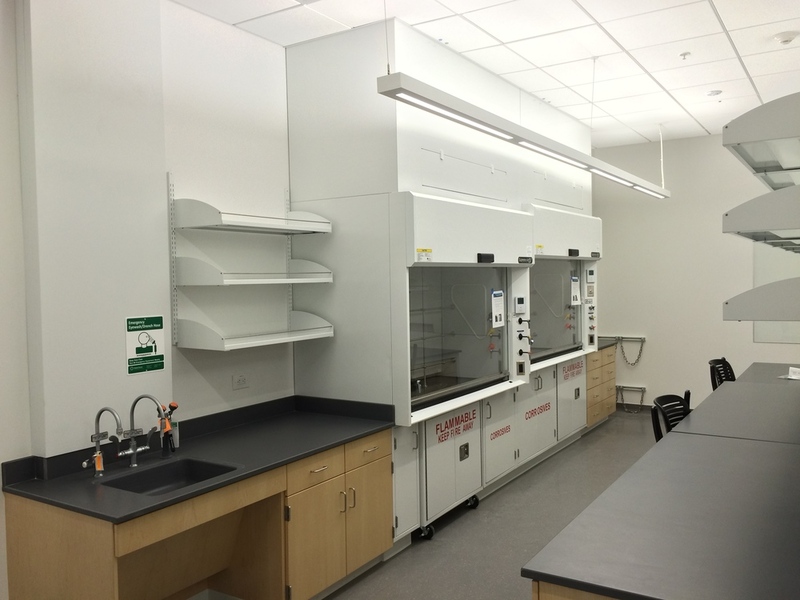 [Moving] We are moving to the new lab located in newly structured School of Engineering 2. 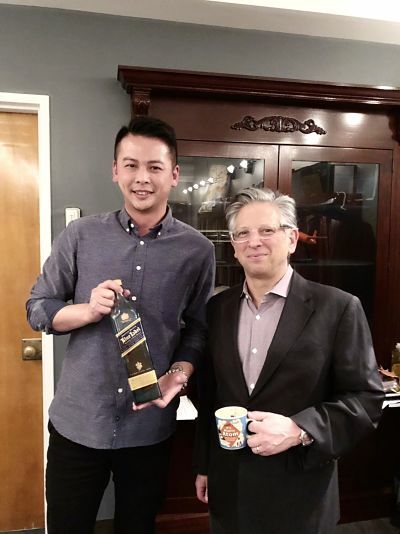 [People] Joe Lin from MSE, University of Pennsylvania will join VCT Lab as a research specialist and work on Felexible Perovskite photovoltaics. Welcome! [People] Oliver Lin from UC Davis Chemistry will join VCT Lab as a research associate and work on Perovskite photovoltaics. Welcome! [News] New Biological Engineering and Small-scale Technology (BEST) graduate group flier designed by Chair, Professor Kara McClosky is on! Welcome to apply. [News] VCT Lab will be moving into new home at School of Engineering 2. 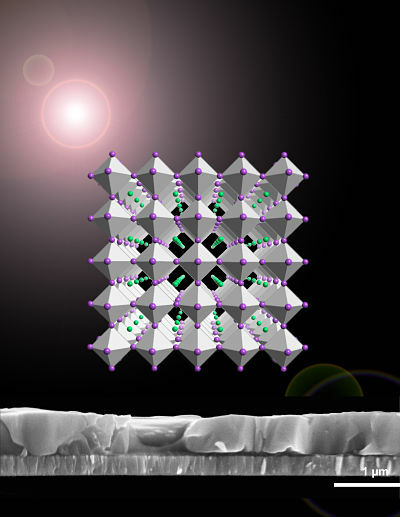 [Funding] VCT Lab received funding support as a gift from Innova Dyanmics for Flexible Perovskites. Cheers! [News] Nick left the VCT lab for UCLA MSE. Thank you for the contribution and all the best for your study at UCLA. Marisol and Jose successfully presented their work at NSF sponsored COINs poster session. Well done! for his passion and dedication toward carbon based nano-material research. [Funding] Our DOE-Molecular Foundry Proposal entitled” Electrohydrodynamic Assembly of High Performance Perovskite Photovoltaic” has been officially approved. Cheers! because of her contribution to STEM education. Congratulations! [Fellowship] Andrew is awarded NSF Fellowship for his 5 years study at UCLA. Congratulations! Andrew and Nick will accept the offer from UCLA MSE department. Congratulations! Go Bruins. [Conference] Vincent presented our work on Dimensional Transition of Soft Functional Materials at Soft Materials Section, MRS SF. [Presentation] Our work on “Emulsion Induced Assembly of Functional Carbon Hybrid Composites” will be featured at MRS Boston. Cheers! [Sport] Congratulation to the Boston Red Sox for the hard-earned pennant! Go Sox! [Paper] Our collaborative work with Prof. Martini and Isborn on “Charge Carrier Transportation at Carbon-Caborn Interfaces” is accepted for publication in “Journal of Physical Chemistry C” Cheers! Our collaborative work with Prof. Martini has been awarded by the Graduate Research Council for funding support. Congratulations! [Paper] Our collaborative work with Prof. Martini on “Rational Assembly of All-Carbon Nanomaterials” is accepted for publication in “Carbon” Cheers! [Funding] Vincent is grateful for the support from Lawrence Berkeley National Lab (LBNL) for Rational Synthesis, Assembly of Carbon based Superstructure for Photovoltaic and Photoelectrochemical Energy Storage. Nick is selected as the recipent of NSF-COINs internship. Good job done. Andrew’s work on geomertically driven self-assembly of all-carbon heterostructures has been selected as the winner of PG&E Summer Research Award, 2013. Congratulation! Yen’s work on electrically responsive gel electrode for energy harvesting is selected by the BEST program for summer research award. Congradulation! Vincent is grateful for the support from UC Solar, the only inter-campus energy institute at UC. 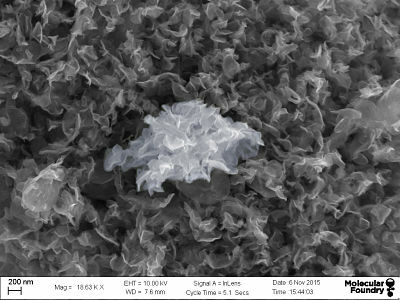 (COINS) to work on self-assembly of soft layered materials for solar-fuel applications. Congratulation! Yen-Chang Chen from University of Florida will join our team as a PhD student. Welcome! Dr. Tomas Oppenheim from Cambridge University brings broad and deep knowledge in the feild of electromechanical coupling to our lab. Welcome. Vincent finally settled down in School of Engineering room 235 and started builting lab. Vincent’s invited perspective on “Progress and Perspective toward All-carbon Solar Cells” has been accepted and will be featured as a cover article. Cheers! Vipawee (Yen) joins the group as the first PhD student in Tung Lab. Congratulation! 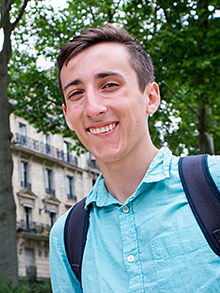 Vincent has been awarded visiting scholar in MSE at Northwestern University. Cheers! 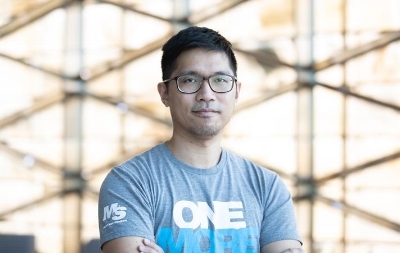 Vincent Tung becomes the Assistant Professor at UC Merced! Congrats! !